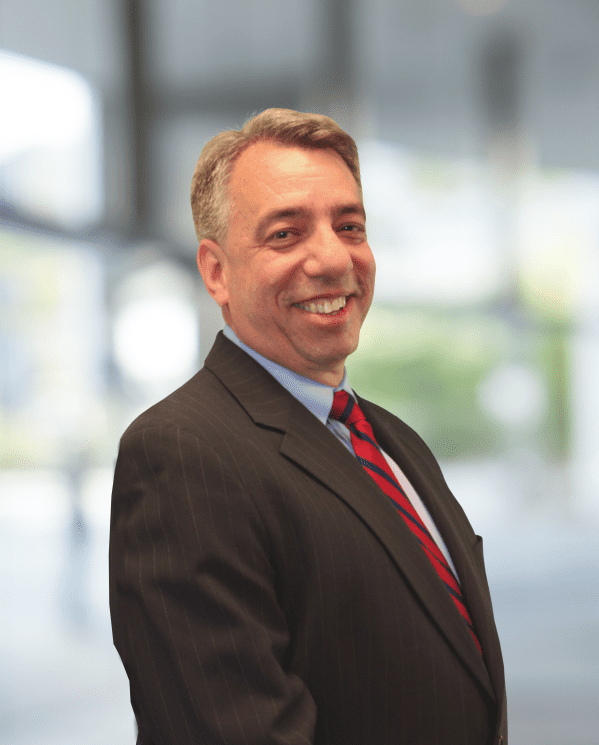 Mr. Duminuco has over thirty years of experience, including Executive Vice President, Vice President, Practice Area Leader, and Office Manager of Roux. His expertise involves providing environmental consulting services and strategic planning to the real estate industry focused on Brownfield Redevelopment projects. His experience also extends to investigation and remediation of soil, groundwater, and soil vapor at commercial and industrial sites, focusing on the use of innovative solutions. Principal-in-Charge of a NYSDEC BCP redevelopment of a property adjacent to a dry cleaning solvent distribution facility in Brooklyn, New York. The Site was a former freight railyard, and offloading spillage onsite and migration from the offsite solvent facility resulted in significant soil, groundwater, and vapor contamination with chlorinated VOCs. The Site was developed into multifamily units with first floor retail use and the remedy consisted of soil hot spot removal, a physical barrier to limit onsite migration, a permeable reactive wall to eliminate offsite migration, hot-spot in situ injections, and a sub-slab depressurization system. Principal-in-Charge of a NYSDEC BCP redevelopment project that also required a RCRA-compliant facility closure. The Site is a former paint factory located in Queens, New York. Historical site operations adversely impacted the subsurface. including a LNAPL plume, in addition to petroleum hydrocarbon impacts to the soil and groundwater. Roux completed a RI at the Site which characterized the nature and extent of the impacts. The remedial action included a large excavation that required SOE and was completed under a tent due to odor concerns, multiple ISCO injections, UST removal/abandonment, installation of an LNAPL recovery system, and installation of an SSDS. Additionally, Roux provided oversight of RCRA closure activities at the Site which included emptying, cleaning, and scrapping 65 ASTs/vessels, and decontaminating the ceilings, walls, and floors of the Paint Factory Building and collection of compliance samples. Principal-in-Charge for the NYSDEC BCP redevelopment of a multi-parcel site located in the Bronx, New York. Redevelopment plans include a multi-phase, mixed-use affordable housing development offering 992 apartments. Other agencies involved include the NYCDEP, NYCHPD, MTA and NYCOER. The Site is primarily contaminated by historic fill and the primary remedy will be a site cover system. Principal-in-Charge of a NYSDEC VCP redevelopment of a former MGP site into a big-box retail site in Brooklyn, New York. The project consisted of negotiations with the NYSDEC and Roux, and limited remediation to former gasholders filled with coal tar, soil hot spots with mobile coal tar, and perimeter containment of coal tar. All the remaining soil at the Site was impacted with MGP waste and most of the Site was underlain by liquid coal tar. Roux negotiated the use of institutional/engineering controls to allow significant contamination to remain in place. A sub-slab depressurization system and vapor barrier was installed to address the mobile coal tar left below the retail building. Principal-in-Charge for a NYSDEC BCP redevelopment project at a site in White Plains, New York, which consists of 16 separate parcels spanning 4.5 acres, and had a variety of former uses including automotive service/repair and multiple dry cleaners. The Site has both chlorinated and petroleum hydrocarbon impacts to the soil and groundwater. The remedy will consist of a site cover system, soil hot spot removals, in situ chemical oxidation for groundwater contamination, and installation of a sub-slab depressurization system.